The FOREO LUNA 2 facial cleansing device is the perfect tool to take your skincare to the next level. 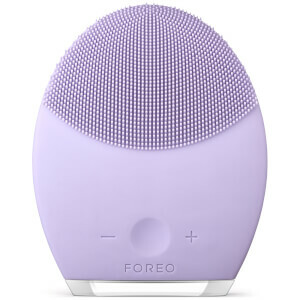 Featuring revolutionary T-SONIC vibrations to stimulate and cleanse the skin, the FOREO LUNA 2 will help you unlock a clearer, more youthful-looking complexion. Two minutes a day is all it takes! Discover the FOREO LUNA 2 range, including a specialised device for oily, combination, sensitive or normal skin, today with RY.